No need to sacrifice space or location anymore! 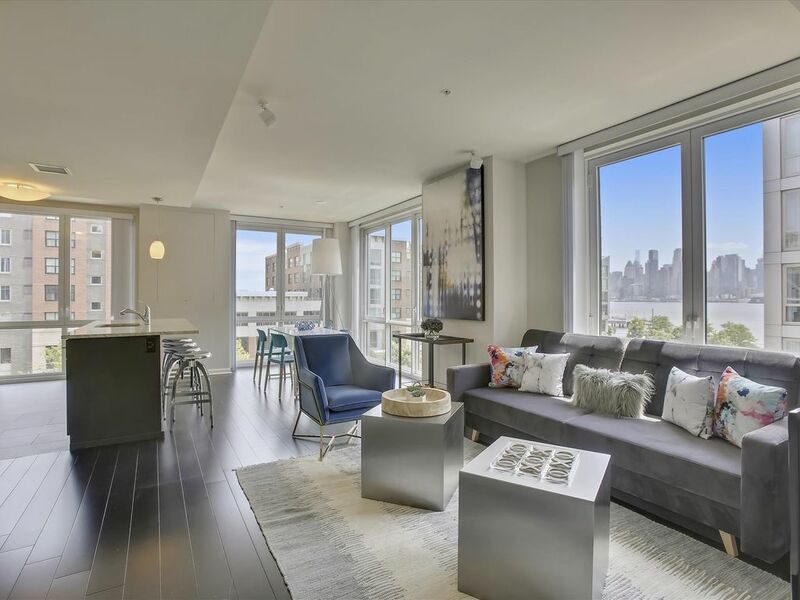 This enormous 3 bedroom apartment has the best of both worlds - over 1500 square feet of living space and only MINUTES to Manhattan! Great thought has gone into all the details of this amazing community and apartment home. Our professionally managed community has 24/7 concierge services to ensure all of your needs are met throughout your stay with us. We have easy access to ferries from Lincoln Harbor to Midtown Manhattan as well as quick access to the New Jersey light rail and bus services. Lincoln Harbor ferry is walking distance from the property and it is a 6 minute ferry ride across the Hudson to the Midtown and W. 39th St Pier. From here you can take a free shuttle to many mass transit stops. Check out the NY Waterway website for more info!